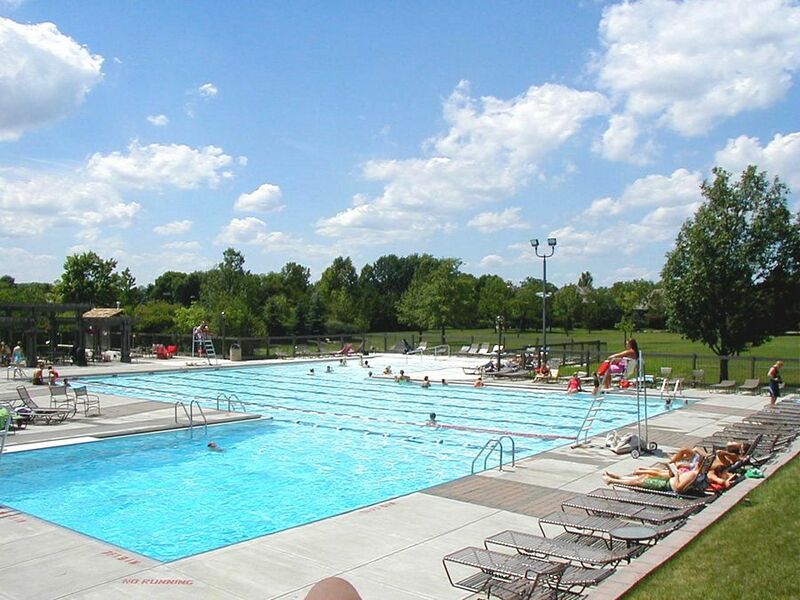 About Muirfield Swimming Facilities - Muirfield Association, Inc.
Muirfield Village offers two outdoor swimming pools. 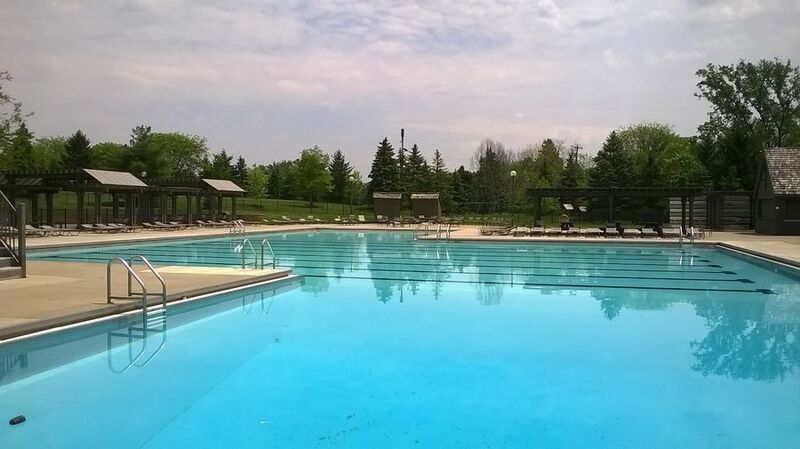 The pools are open seasonally and are reserved exclusively for Muirfield residents and guests of residents. 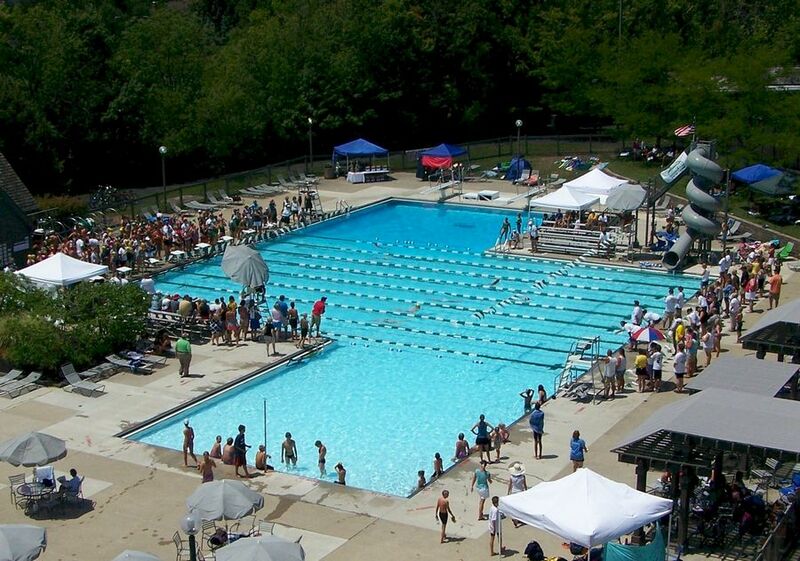 Both pools have pergolas, tables and umbrellas, chairs, lounges, grassy areas and a concession stand. Several of the pergola shelters can be reserved by residents for parties. 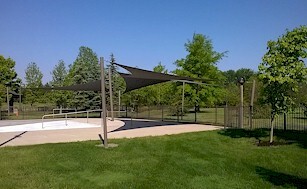 For those wishing shade, "sun sails" are installed at both pools. Shade is also available at the umbrellas at tables along with partial shade provided by the pergolas. 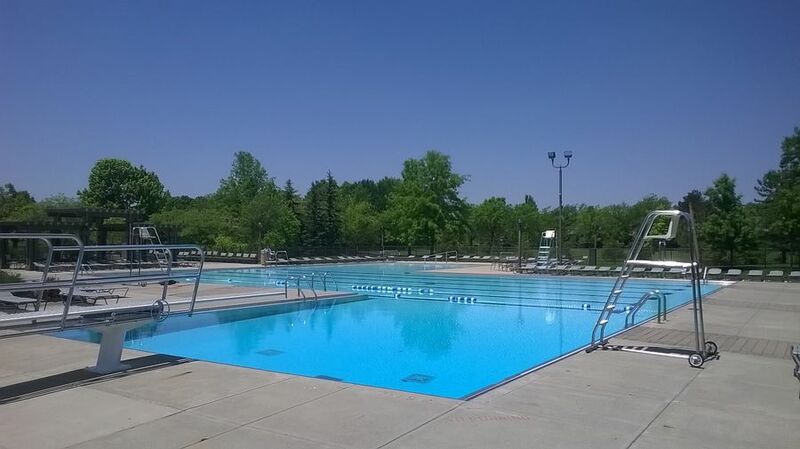 The Glick Road Recreation Facility features a large pool with a beginning water depth of 2'. The diving well has a one-meter diving board and is for recreational diving only. The 15'x15' baby pool is located within a fenced area inside the main pool facility. Pre-school aged children are welcome to use the baby pool. 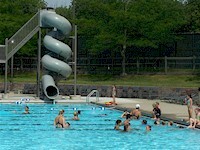 The main pool boasts a "curly" waterslide that older children enjoy. 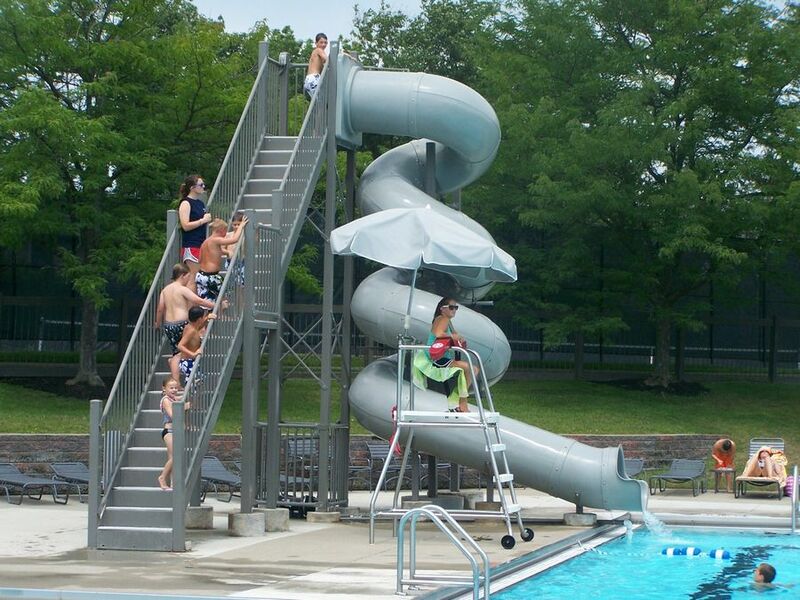 Participants using the waterslide must be at least 48" tall or pass a swimming test. 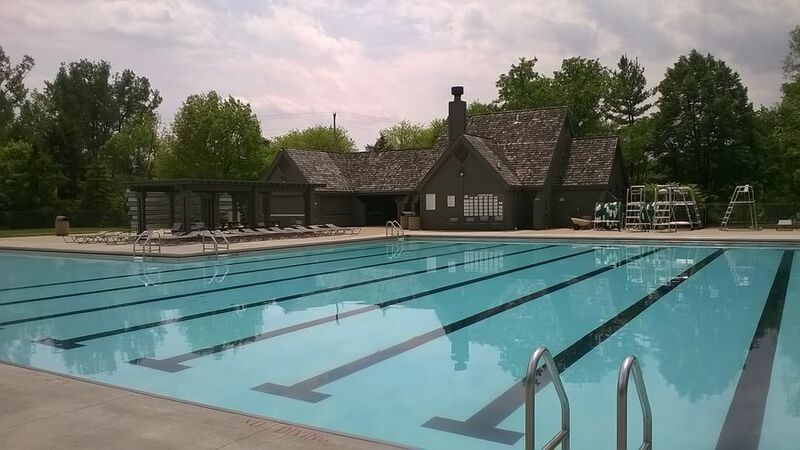 The Glick pool is home to the Muirfins, Muirfield's youth swim team. 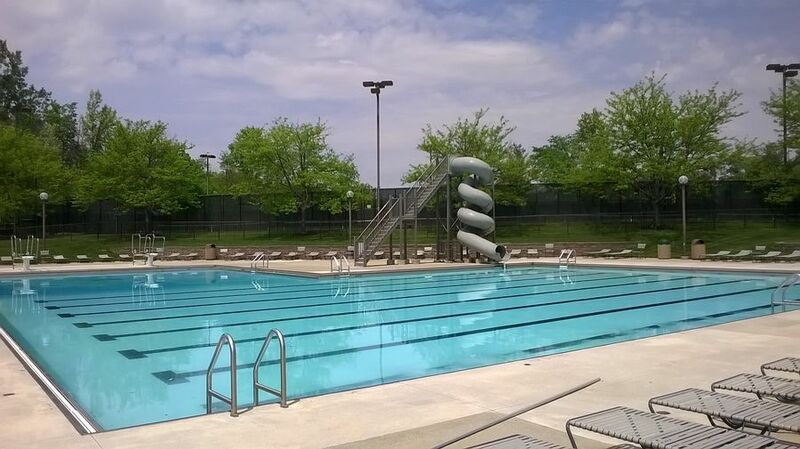 The pool is used for practices and meets and will be closed for residents' use after 3 p.m. on certain meet dates, but the Holbrook pool will be open. Dates will be posted on the calendar as they become known. 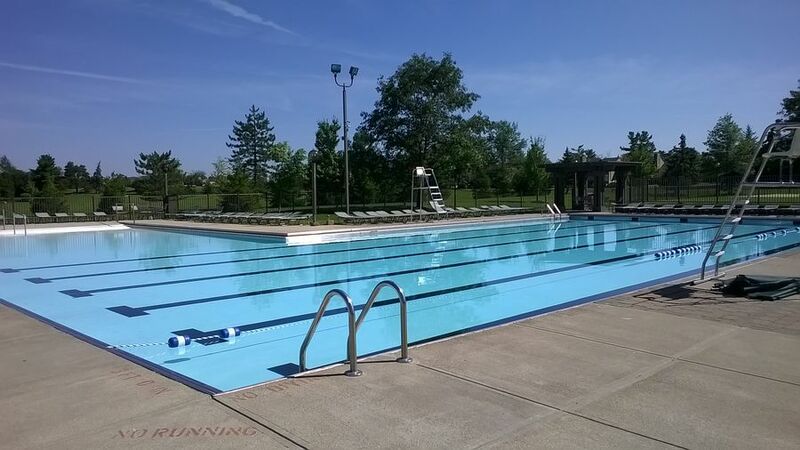 The Holbrook Recreation Facility features a large pool with a zero wade-in depth. The diving well has a one-meter diving board and is for recreational diving only. 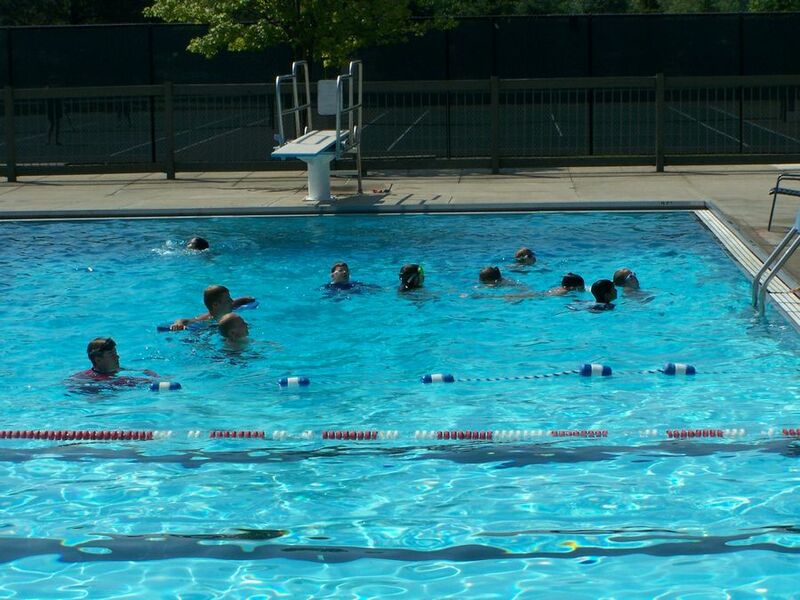 A 15'x15' baby pool is located within a fenced area inside the main pool facility. This facility also features a 10-person, stainless steel multi-port spa. All individuals under the age of 15 must be supervised by an adult at all times while using the spa. 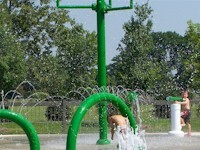 A spray ground, perfect for non-swimmers and swimmers alike, is located inside the fenced pool facility. 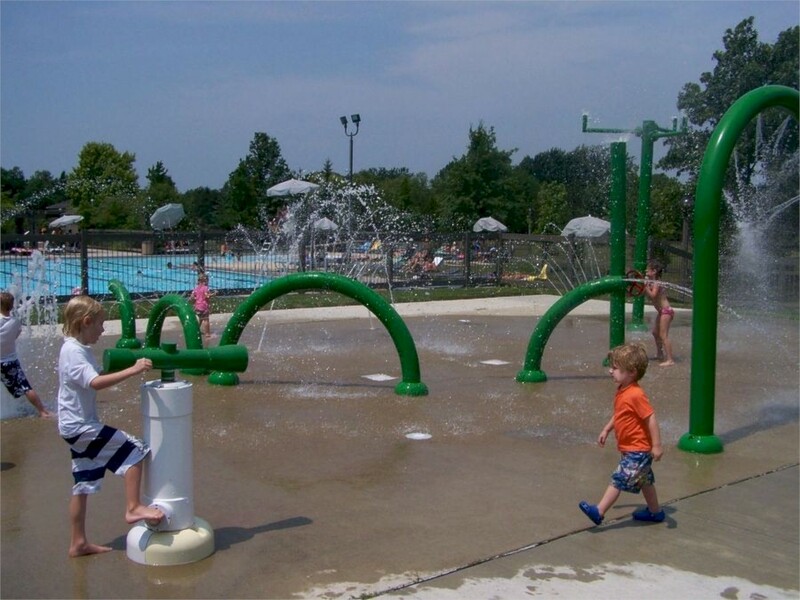 The spray ground is open during regular pool hours throughout the pool season. View a slideshow of Muirfield's pools below.